This is different from the $12 billion farmer bailout. A lot more milk than this will be purchased by the government to help struggling dairy farmers. The USDA’s Agricultural Adjustment Act of 1935 has a section that allows the USDA to purchase quantities of American agricultural products. Typically, this is done when times are unnaturally tough for certain sectors of the industry, often during a surplus or when prices are too low for producers to make a living. Recently, the USDA, reacting to a massive cheese surplus, purchased $20 million worth of American cheese (as in, cheese from America, not just the Kraft-style American cheese product). 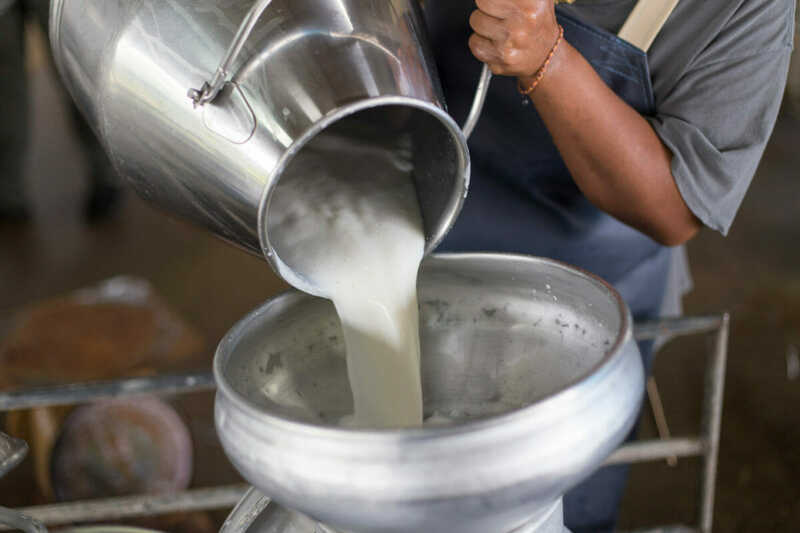 On August 14th, the USDA announced that it would be buying $50 million worth of liquid milk, the first time that specific product has been put through this system. The buyback is completely separate from the $12 billion payout to farmers hit by the trade war; the milk industry has been suffering for many years. There are a few different causes for the downturn in fortune for milk producers: Americans are simply buying less milk (thanks maybe to non-dairy milk, among other reasons), but have also produced more and more in recent years, driving the price down. Without quotas and price protections, as are used in countries like Canada, dairy farmers are sometimes forced to sell milk at a loss – leading to mass distress and even farmer suicides. The Farm Bureau estimated that 10 percent of American dairy farms shut down in the last year alone. The milk purchased by the USDA will end up in food banks through networks like Feeding America. In a press release, the National Milk Producers Federation said that “milk is in high demand at food banks because of its unparalleled nutritional benefits.” (Milk may not make kids actually grow taller, but it is a very calorie-dense, nutrient-dense product.) The government will have to work with producers to figure out an appropriate price; if you want to get involved, head here.